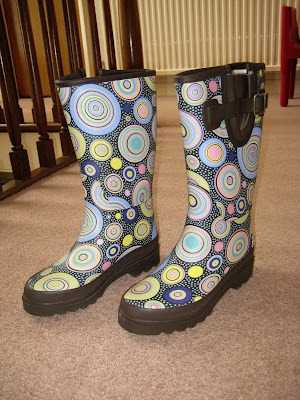 I got some fabulous wellies for chrimbo! 2 pairs!! One pair from dad and one from Karl. I now have 3 pairs!! I didn't think anyone would notice my late post!! I just never got round to it and talking about christmas in April is just weird!